The South Australian government is at it again, but this time it's hit movie distributors and retailers with a restrictive new law on packaging that some are claiming was kept quiet until it was too late to be challenged. The new law forces stores that rent or sell videos in South Australia to display movies rated R18+ in plain packages showing nothing but the film's title. Restrictions against "posters, pamphlets or other printed material" have also been put into place, with fines of up to $5000 ($4632 US) awaiting anyone who displays this stuff out in the open. As a result, films like Taxi Driver, Apocalypse Now and even the home-grown classic Mad Max will only be available in the unmarked packaging unless they're kept in a segregated "adults only" section. 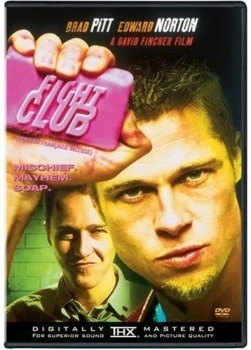 Critics say the blank packaging will prevent viewers from making informed decisions about what they watch and also point out that the vagaries of Australia's rating system means that the packaging for Saw, which prominently displays a bloody severed foot on its cover but somehow earned an MA15+ rating, will be legal to display, while Fight Club, featuring a photograph of actors Brad Pitt and Edward Norton, will not. Even worse in the eyes of some in the industry is the fact that the law was apparently ushered in very quietly, leaving many of them unaware of its existence until it was too late to debate or contest it. Mark Spratt, the managing director of Australian independent film distributor Potential Films, was "gobsmacked" when he heard about the law, saying, "It's gone completely under the radar." "It's certainly discouraging people to look for these films, discouraging shops from stocking them and [creates] an extra hassle for [distributors]," he added. The law was announced by the office of South Australian Attorney General Michael Atkinson, notorious among gamers for his opposition to an R18+ rating for videogames. It wasn't Atkinson who introduced this one, however, but Family First Member of Parliament Dennis Hood, who claimed his goal was to have the offending videos "quarantined, so children could walk into the store without being exposed (to R-rated titles.") Posters, stand-ups and other such materials in theaters, however, will remain unaffected. Source: Adelaide Now, with thanks to Labyrinth for the tip.